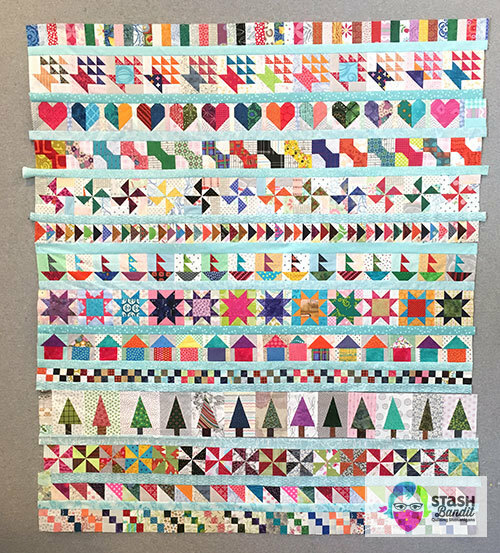 Once every few months, I get to spend a day at International Quilt Study Center & Museum in Lincoln, Nebraska, about 140 miles from home. 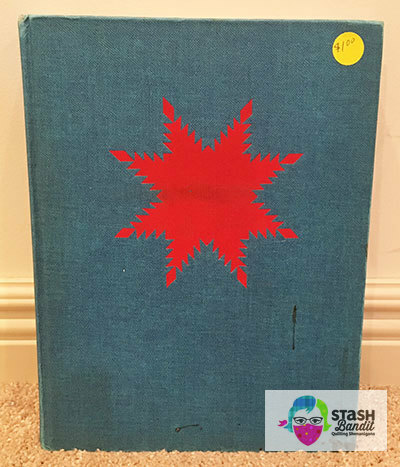 Next to the quilts, the best part of these visits is checking out the used books for sale in the museum gift shop. I always leave with my arms full of books, and not just any books. 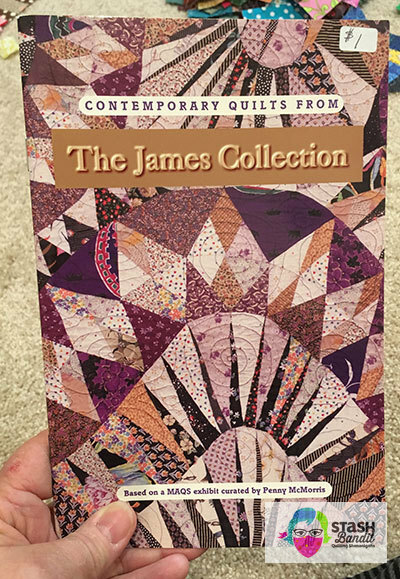 They’re the kind of quilt books that hold all sorts of treasures, sometimes literally and sometimes in the form of inspiration for my own work. 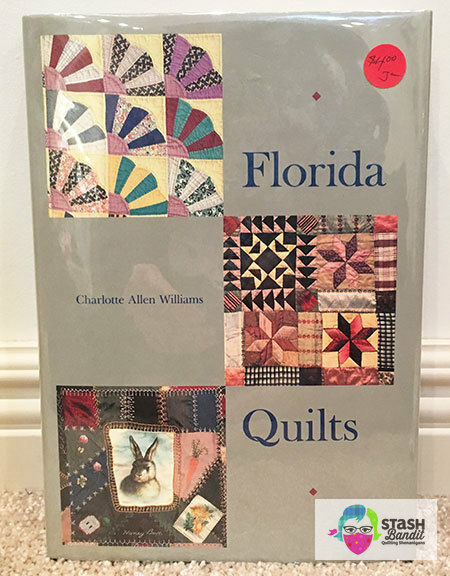 I collect books from state quilt documentation projects, and Florida Quilts by Charlotte Allen Williams is one I do not have. A steal at $4. 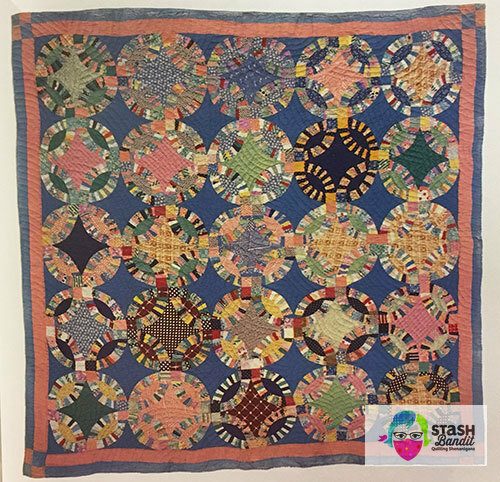 Double Wedding Ring made by Edna Earle McKee in 1931 in Cottondale, Florida, 78″ x 78″, pieced by machine, hand quilted in a fan pattern, cotton batting. 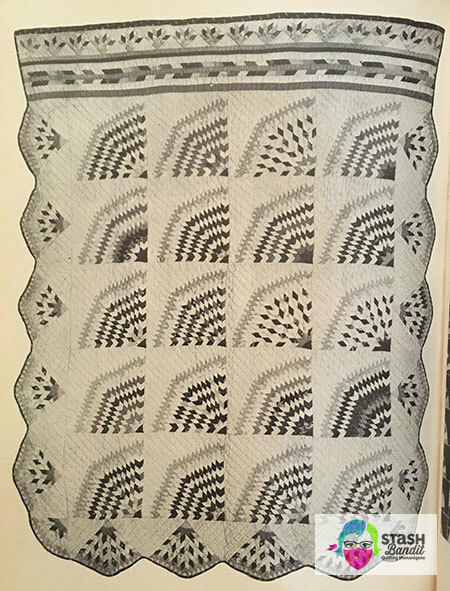 And if this Double Wedding Ring quilt photo was the only one in the book, it would have been worth ten times what I paid. I mean, have you ever?!? 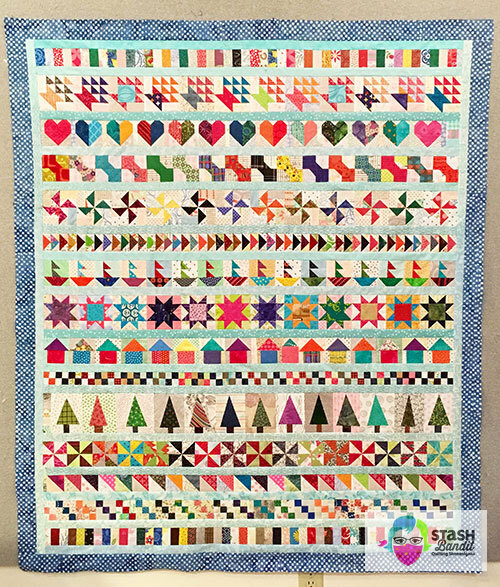 Quilts like this give me courage! Edna Earle McKee made it in 1931 in Cottondale, Florida. Edna was a woman after my own heart. Edna wasn’t too worried about whether the fabrics matched. 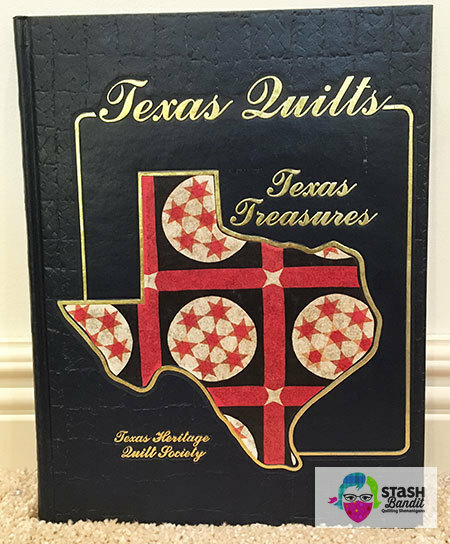 Texas Quilts, Texas Treasures from Texas Heritage Quilt Society goes into my collection, too. The color photos in this one just never end, and the quilts are from all sorts of people. I can’t get enough of it. 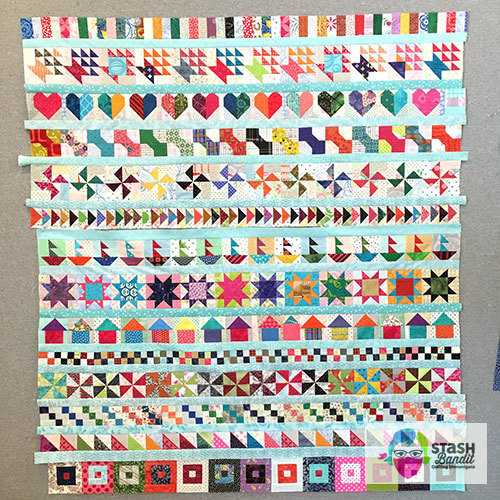 This sampler, called a “pattern quilt” in the book, inspires me to make a sampler from all the extra blocks filed away in my studio. 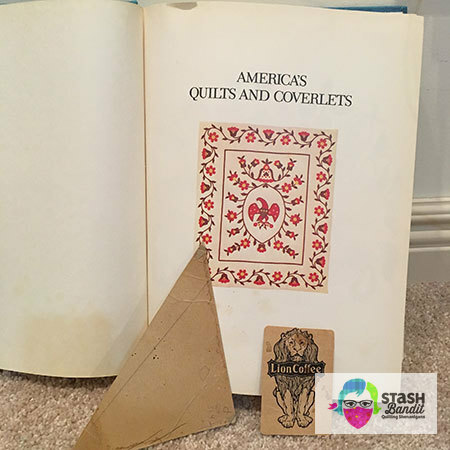 A slightly damaged America’s Quilts and Coverlets was just $1. It’s by Carleton L. Safford and Robert Bishop. 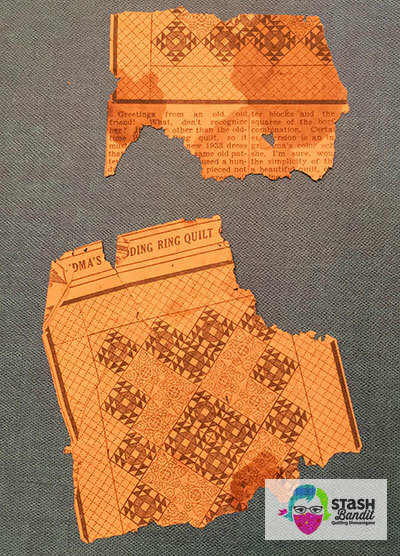 Inside the book were some interesting things: A triangular cardboard template, an advertising card for coffee, and some clippings with quilt patterns. I wonder who clipped these out and tucked them inside the book. 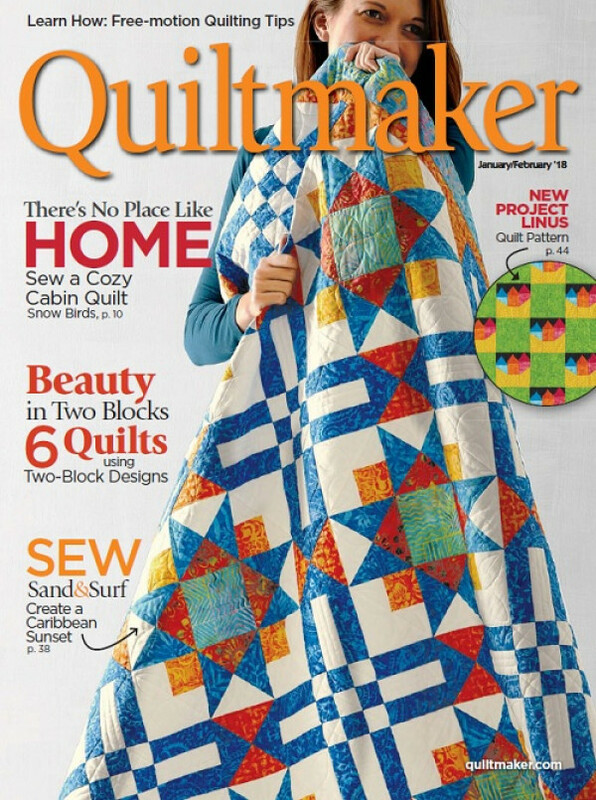 Did he or she use the Grandma’s Wedding Ring quilt pattern? What happened to that quilt? I hope it went to a good home. 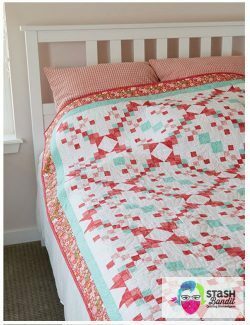 Here’s an example of the quilts pictured inside. Patchwork quilt, unnamed design, c. 1800. 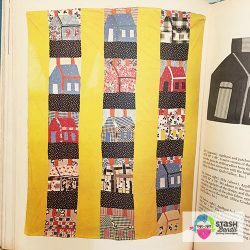 No maker is listed in the book for this quilt, and isn’t that heartbreaking? 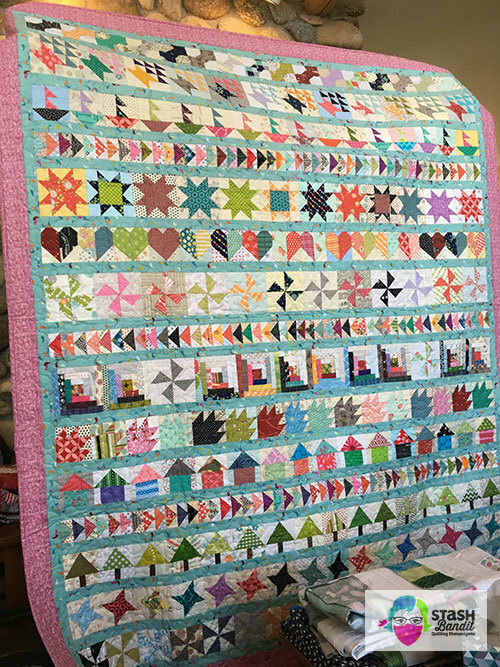 I view this quilt as a permission slip to do whatever works in the moment. Notice that there are full blocks, half blocks, and even a quarter block up in the corner. How fun! We worry too much about everything. 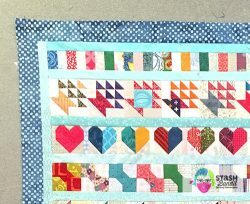 If your quilt isn’t quite long enough, then just add another border along the bottom and presto! Just right. 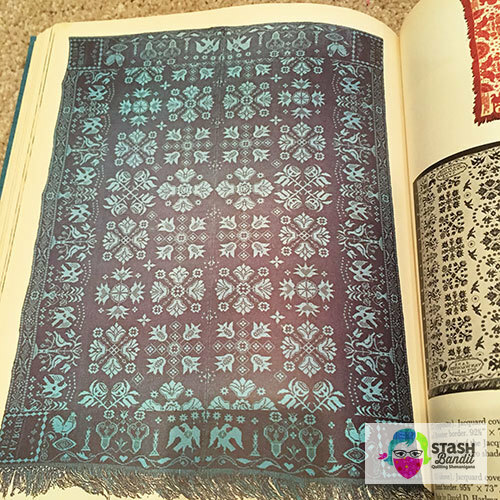 I’m also interested in weaving, so the coverlet section of the book intrigues me. I’d love to be able to weave something like this someday! I was given a floor loom a few months ago (for free!) but that’s a story for another day. And if these vertical sashes aren’t the happiest, yellowest, staunchest pillars you’ve ever seen…! And consider this: There is hardly any other yellow in the quilt. 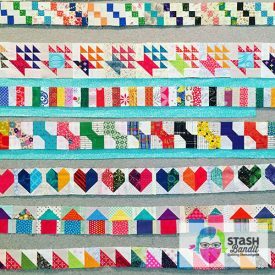 I think we can all stop stressing over our sashing choices. This black and white photo from the book is especially useful. You can see the values (lights and darks) without being distracted by the color. 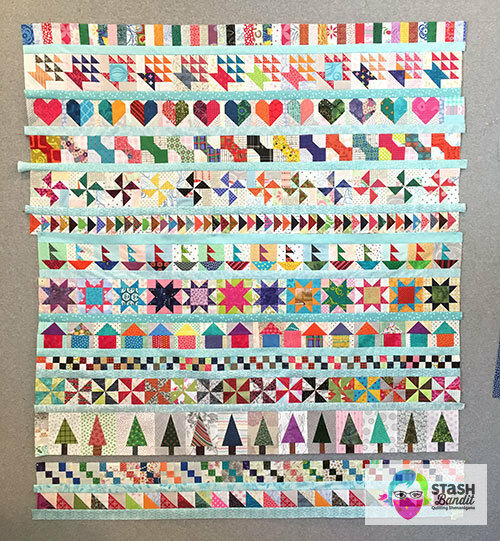 Isn’t it curious that this quilt maker used diamonds to create fan blocks instead of sewing the sections together to make a bursting star? I love this idea. It will probably show up in my own work. 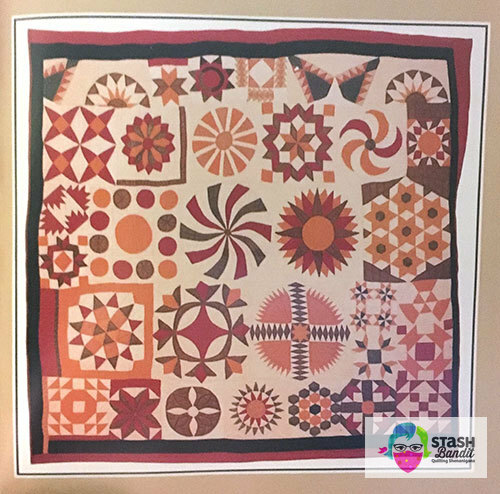 Contemporary Quilts from The James Collection is from 1995, two years before the quilt treasure-store of Robert and Ardis James (New Yorkers with Nebraska roots) came “home” to establish International Quilt Study Center and Museum. 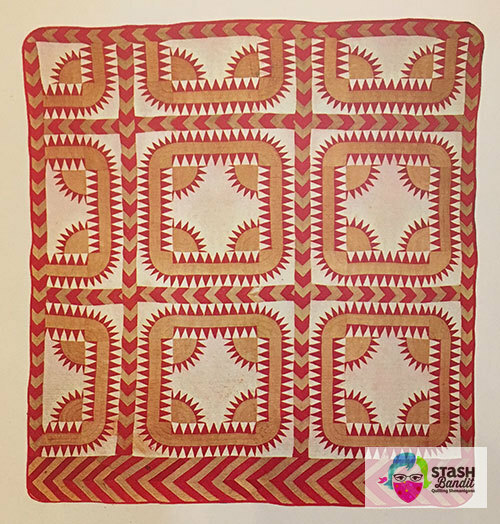 Now boasting the largest publicly held quilt collection in the world, it has grown into an international phenomenon with quilts and related items dating from the early 1700s to the present and representing more than 50 countries. 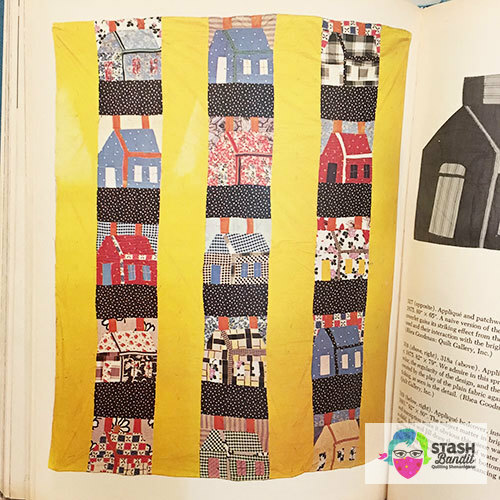 The booklet is based on an exhibit at Museum of American Quilter’s Society curated by Penny McMorris, whose name you may recognize. 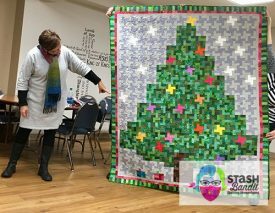 She has worn many hats over the years, and today she is one of the owners of The Electric Quilt Company, where the quilt design software Electric Quilt originates. 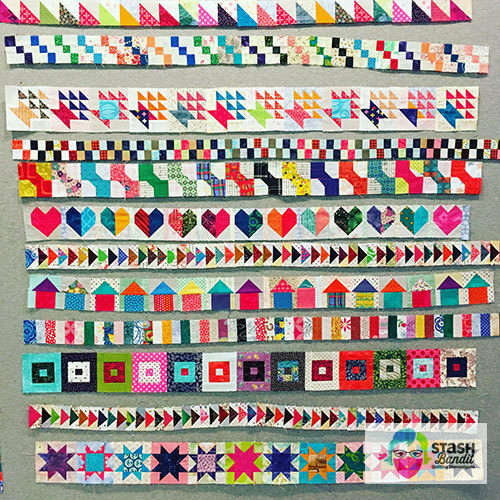 Quite a peek into the last 30 years of contemporary quiltmaking. 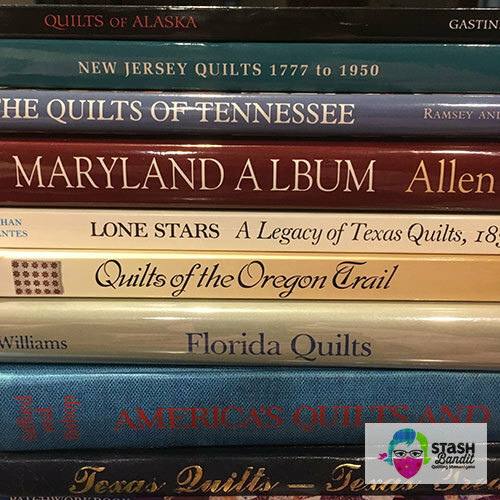 Whether your quilting library has new books or vintage titles like these, pull them out regularly. Browse for inspiration and soon you’ll have so many ideas, you won’t know where to begin. 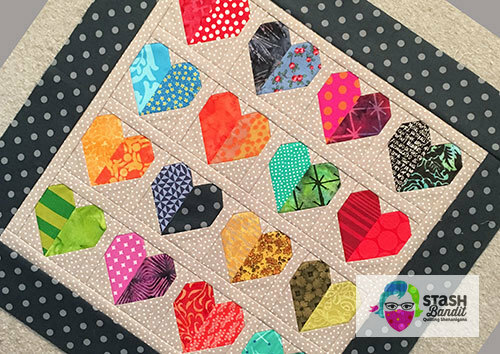 You can make all the hearts in just one color, or you can make them scrappy. 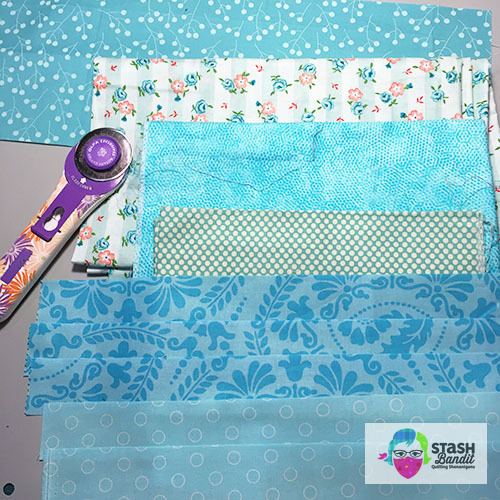 You can do a scrappy background, or use just one fabric. So many options! 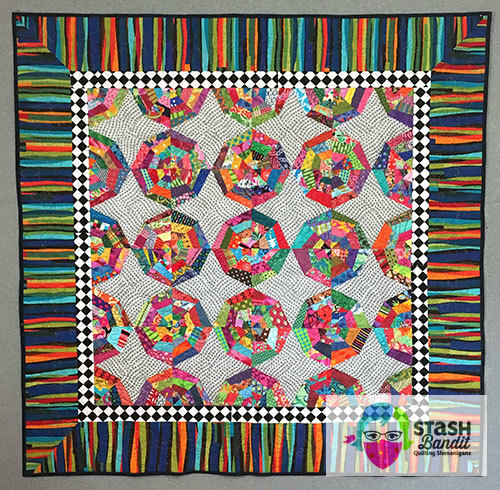 You can see them on my Instagram where I’m @stashbanditquilting. I unearthed a corner of my studio last week and came across some treasures. 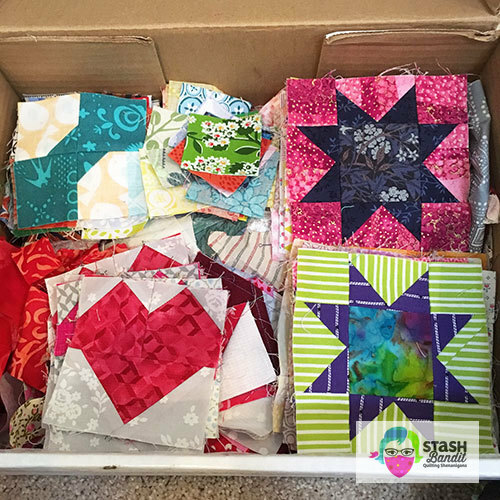 Neatly stacked in a cardboard box were my QM Bitty Blocks from 2015. 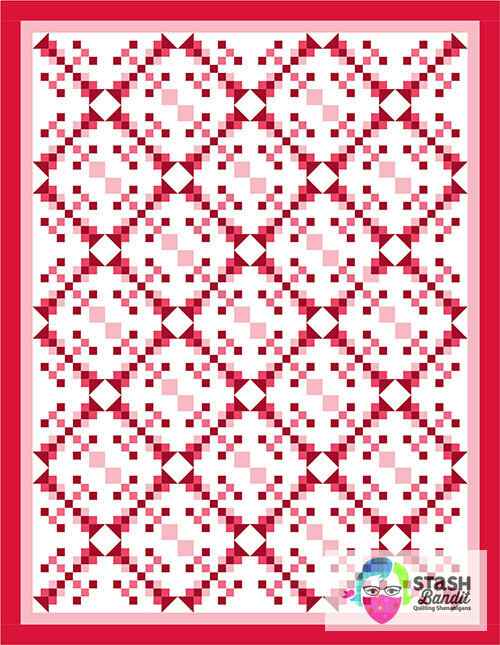 I and other QM staff members designed these little gems as freebies that we presented month by month on the Quiltmaker blog that year. It was so much fun. 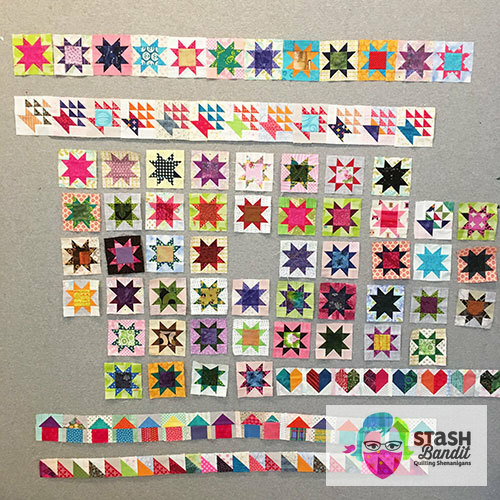 I made blocks in about half of the months but as always, there were more ideas than hours in the day, so my sweet little piles were set aside without being finished into a quilt. 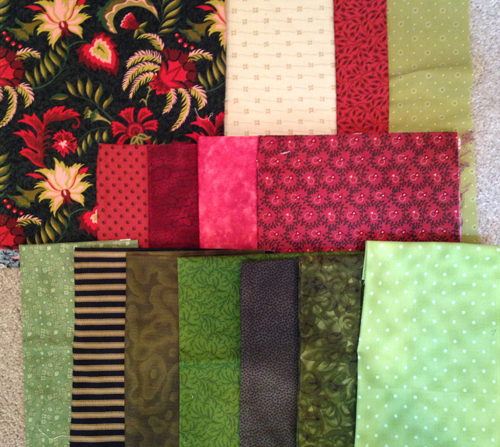 Coming across them again was like rediscovering old friends and I think it’s time they became a quilt. After a big holiday like Christmas I always find it hard to get started again in the studio. Maybe it’s the anticipation of it all and a bit of a letdown that it’s over, or maybe it’s just being tired, or because it’s the dead of winter (-3º here) or something else. I have a few tricks I’ve learned over the years—ways to prime the creative pump. Maybe they’ll work for you, too! I’m joining in with the Best of 2017 Linky Party hosted by Cheryl Brickey over at Meadow Mist Designs. It’s a fun way to see a lot of quilts and find some fresh people to follow. You’ll find a link to the party at the end of this post. 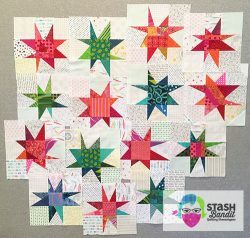 But first, here is the Best of 2017 from Stash Bandit—it’s in countdown form, Casey Kasem-style! 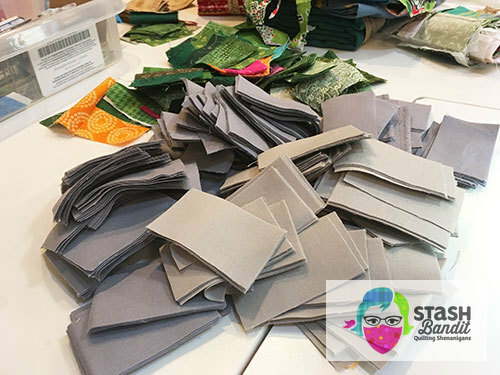 #5: How to Combine Quilting Fabrics: LET GO! 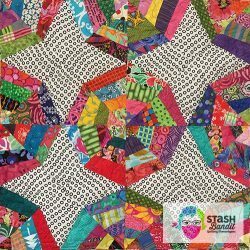 This post has to be in my top five because it’s what Stash Bandit is all about: Combining interesting fabrics in unexpected ways to make dynamite scrap quilts! So much fun! 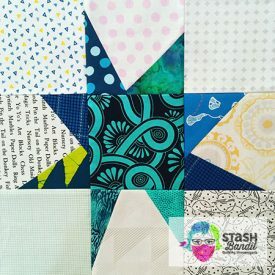 Stash Bandit is all about helping quilters learn to combine fabrics in new and interesting ways. Merry Christmas! I hope your holiday is full of the love of family and friends. 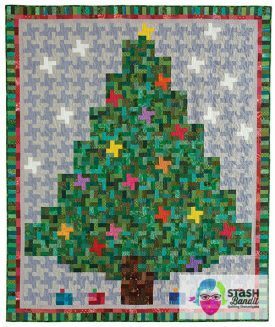 Let me tell you about my little Christmas tree quilt, Twinkling Bright. It all started with this small block that I call a Baby Windmill. 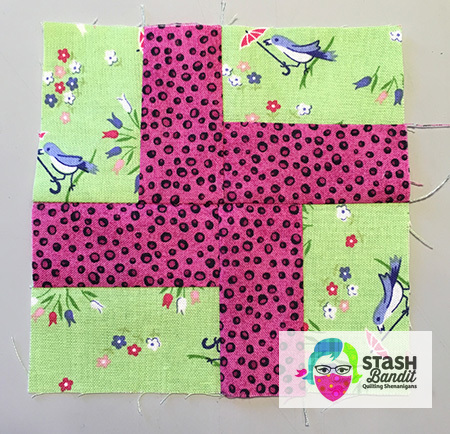 I’m on a mission to design as many interesting quilts as I can with this as the starting point. You can read more here.